In a city of formidable-looking monuments raised by megalomaniac despots, it is still possible to find beauty in small, obscure relics. 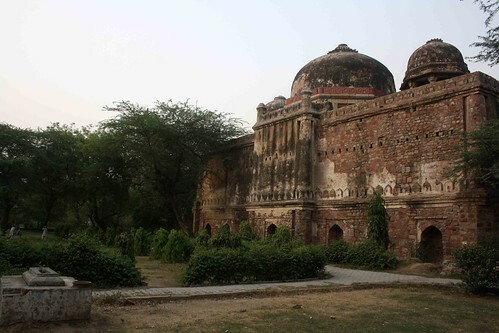 The unknown tomb lies in a graveyard near Mathura Road in Central Delhi. 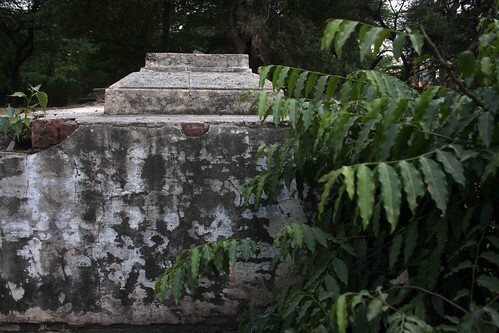 The dead are no longer buried in this Mughal-era cemetery. Situated at a distance from other ruined graves, this ignored crumbling tomb is bathed in solitude. 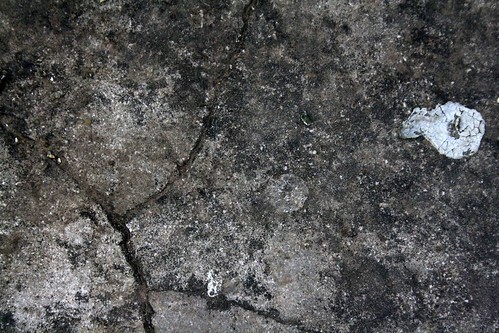 Cracked lines have made borderless maps across its jagged surface. 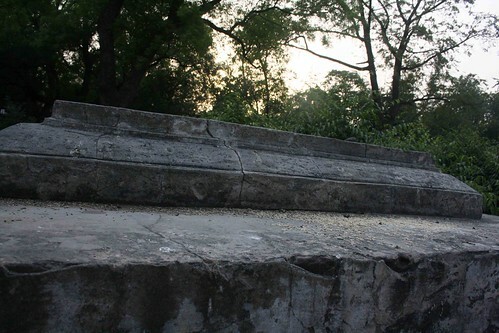 It could as well be the melancholy of the twilight hour but this partially-damaged slab of stone appears to evoke more feeling than the adjacent tomb of Mughal emperor Humayun, which has fountains, gardens, tourists, and a grand dome. 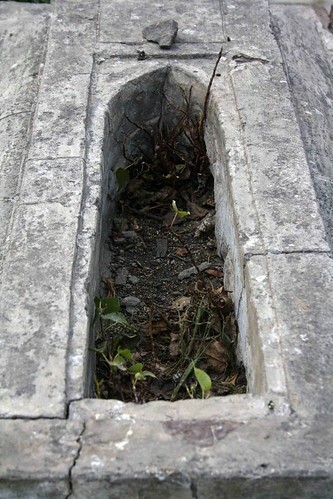 At some point in history, the grave’s identity might have been known to the world and one could imagine the relatives and friends of the deceased visiting this resting place on certain anniversaries. 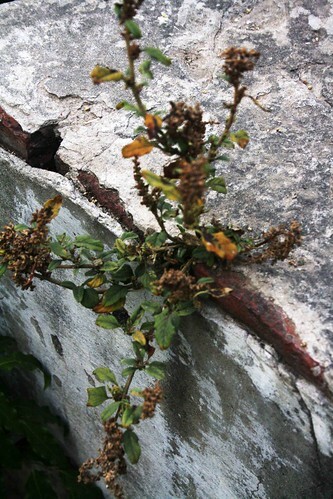 But today, this grave has become a sanctuary to the area’s insects, while its stony facade nurtures plants, including a flowery bush. 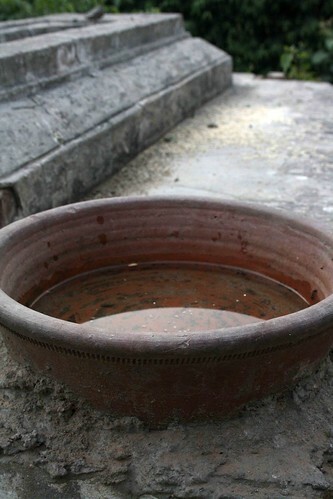 An earthen vessel placed on one corner of the grave is filled with water, probably kept by someone for birds. Bees are landing into it to quench their thirst. 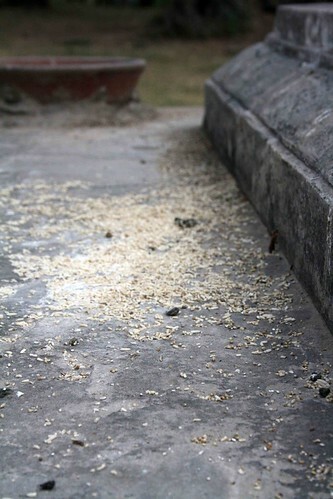 Rice grains, too, are scattered along the grave. 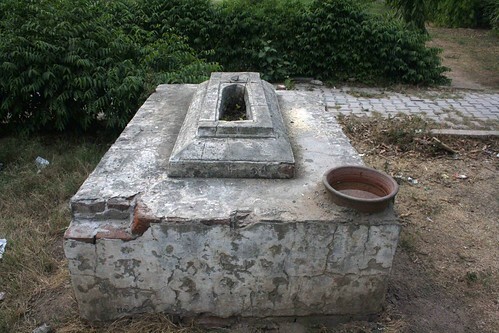 Although ringed by an unused mosque and a rugged garden where boys play cricket in the evenings, the forlorn grave seems to be entirely absorbed in preserving its connection to the person buried underneath. Now, a bird descends to feed on the rice and this shrine to death becomes a nourishing abode to a winged life. 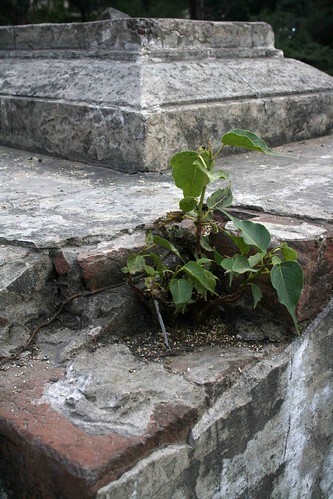 Tomb is made of modern bricks, not the mughal era lakhourie bricks. 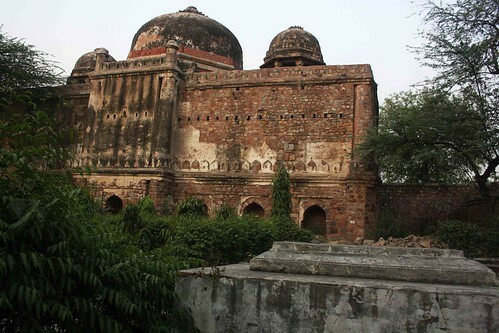 This post colonial/indpendence tomb can not be a mughal era tomb.